Oh, where to begin with this? A major government project, this one part of a $5.6 billion dollar plan…and it’s all screwed up. 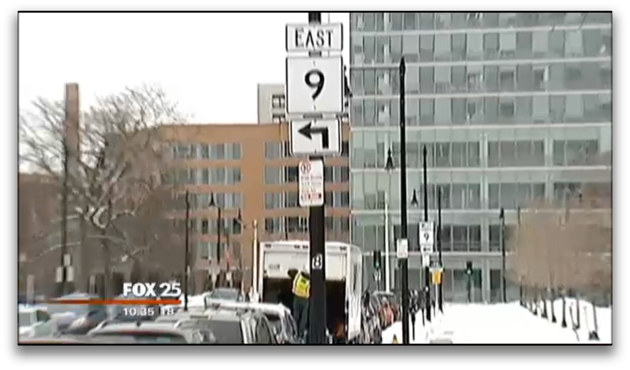 For months now, over 50 new street signs in Boston have been pointing poor drivers to the wrong destinations. It’s kind of like a microcosm of Washington, D.C.: down is up, up is down, left is right, right is left, and everything is pointing at everything else. What’s worse, it wasn’t until TV news reporters contacted city and state officials that they actually realized something was wrong. Who designed these things, Kathleen Sebelius? Read more about the Massachusetts mess over here. I promise the link will point you in the right direction.